You can count the amount of Premier League appearances he made on one hand, but Zambia’s Collins Mbesuma will be aiming to put himself back in the spotlight in tonight’s Africa Cup of Nations final against Cote D’Ivoire. Every club has its heroes. But equally, there are players who you might have forgotten about. These are the players that we love at Forgot About Him, and this feature is dedicated to them. Bolton fans, this is your team now. Bolton Wanderers were promoted to the Premier League in 1995 under the management of Roy McFarland, marking an incredible turnaround in the club’s fortunes after they had been relegated to the old Fourth Division (now League Two) just eight years before in 1987. However, a disappointing debut season in the top-flight saw McFarland sacked in January, with his assistant Colin Todd taking over as manager. However, the Trotters finished bottom of the pile at the end of the campaign, but Todd guided them back into the Premier League at the first attempt, only to see them relegated straight away yet again. After three years in Division One, Bolton were returned to the Premier League alongside Blackburn and Fulham, where they have remained ever since. This is their classic XI. A veteran of over 250 appearances for the Trotters, Irish international Branagan enjoyed three promotions during his time at Bolton. However, he did manage to find time to cover a U2 song for Sky Sports in the early ’90s, alongside current Preston boss Phil Brown and a moustached Rob McCaffrey. Following the arrival of Jussi Jaaskelainen in 1997, Branagan found his first-team opportunities limited, and eventually left the club in 2000 for Ipswich Town. A shoulder injury limited him to just four appearances for the Portman Road side, and he retired from playing in 2002, aged 36. He now teaches and coaches football at a school in Bolton. Full back Barness began his career with Charlton in the early ’90s, before making the move across London to Chelsea in 1992. However, after just 21 appearances for the Blues in four years, Alan Curbishley brought him back to Charlton, where, although not a first team regular, he would reliably fill in for the likes of Paul Konchesky and Mark Bowen when called upon. Barness spent four seasons at The Valley, before Sam Allardyce snapped him up on a free transfer in 2000, marking the beginning of five relatively successful seasons at Bolton. 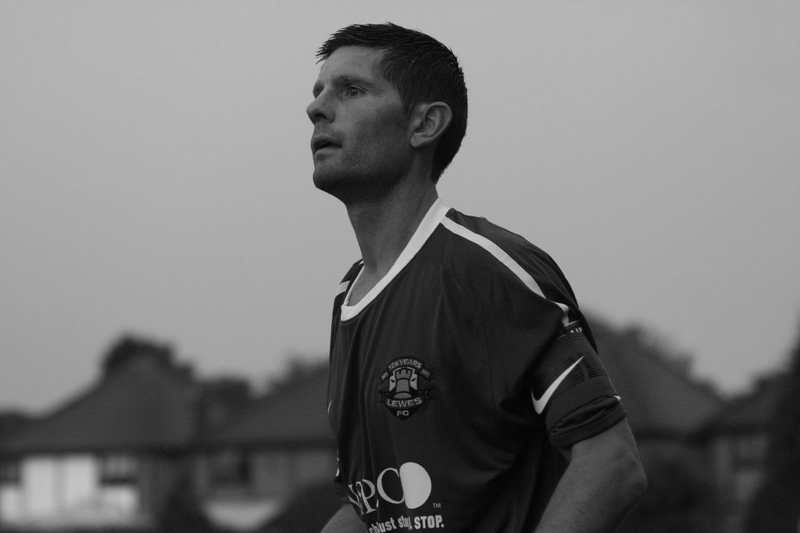 He joined non-league outfit Lewes in 2007, where he still plays now, aged 38, via a spell at Plymouth. Centre back Laville made his name at Lyon, playing over 200 times in 10 years on the French side’s books. A £500,000 switch to the Reebok Stadium in 2003 saw him form an initially encouraging partnership with veteran Icelandic defender Gudni Bergsson. However, after just a handful of appearances, he suffered a serious knee injury and was sent to the USA for treatment from the same doctor who tended to Alan Shearer, Michael Owen and Owen Hargreaves. He struggled to regain fitness, though, and transferred back to France to play for Bastia in 2005, via a brief spell at Coventry, before retiring in 2007. A quintessential journeyman of world football, Brazilian defender Julio Cesar signed for the Trotters in 2004, but found it difficult to break into the side, making just five appearances in a disappointing season at the Reebok. His switch to Bolton from Spanish side Real Valladolid was one of the transfers discussed in the Stevens Report – an investigation into 17 allegedly illegal deals. After leaving the club in 2005, Cesar added Mexico, Greece, Romania and Turkey to the list of countries he’d played for – a list which already included Honduras, Spain, Italy, Portugal and Austira. Now 32, he plays for Sporting Kansas City in the American MLS. World Cup and European Championships winner Candela joined Bolton in 2005 – the same season in which Sam Allardyce added such maestros as Fernando Hierro, Gary Speed and Les Ferdinand to his squad. Despite having to play second-fiddle to Bixente Lizarazu for much of his international career, Candela represented France no less than 40 times, in the period in which his country were arguably the best team in the world. However, the former Roma full back only managed to notch up 10 appearances in a Trotters shirt, before leaving for Udinese in the same year. He retired in 2007 after a loan spell in Italy with Messina. Despite being filled with potential in the 1990’s, Ba never failed to live up to his promise and winded up at Bolton in 2003 after six uneventful seasons with AC Milan. The initial pace and dynamism he showed in France with Le Havre and Bordeaux had though disappeared, and he managed only nine league appearances for Bolton, all from the bench. He left at the end of the 2003/04 season and, via Turkey and Sweden, inexplicably ended up back at Milan as a player. He now has a scouting role at the San Siro. Sneekes was part of the Bolton team which achieved promotion to the Premier Division back in 1995, but the Dutch midfielder failed to impress at the top level and was shipped off to West Brom in March 1996, where he went on to become a cult hero. He also turned out for Hull City and Stockport before finishing his career in the English lower leagues. He currently heads Tamworth’s youth academy. Dubbed the ‘Japanese David Beckham’ when emerging from the Japanese national team at the turn of the millennium, Nakata arrived at Bolton in 2005 after turning out for a host of Serie A clubs to little effect. He made 21 league appearances in the season he spent on loan from Fiorentina, before he collected the final of his 77 international caps against Brazil in the 2006 World Cup. He retired from professional football after that game at the age of just 29. Fadiga’s arrived at Bolton in 2004 with a good international reputation. He had impressed at the World Cup in 2002 for his native Senegal in a set of performances which were to persuade Inter Milan to move for the winger in 2003. During his time in Milan though, doctors found he had a heart problem, leaving the Nerazzurri wary of risking him in the first team. Sam Allardyce took him to the Reebok Stadium but he collapsed before playing a game for the club. He eventually made 5 appearances but never established himself in the first team and eventually joined Coventry City. Fadiga last played for Belgian side Germinal Beerschot. Signed for £1million at the age of 31-years-old in 2005, Allardyce felt the prolific Borgetti could still do a job in the Premier League. The first Mexican to play in the Premier League scored seven goals in a solitary season at the Reebok Stadium but couldn’t hold down a first team place and made only five league starts. He was released in the summer of 2006 and signed for Saudi Arabian side Al-Ittihad before rounding off his career in the Mexican domestic leagues. He finished his international career with 46 goals from 89 caps. One of the most famously adept goalscorers of the late 1990’s and early 2000’s, Jardel brought a fearsome pedigree to the Reebok when he put pen to paper on a deal in 2003. After scoring for fun in Brazil, Porto pounced for the striker, snatching him from under the watchful eyes of Glasgow Rangers. He scored 130 times in 125 league appearances for the Portugese side, before replicating that form with Galatasaray and Sporting Lisbon. The £1.5million Bolton paid for him seemed to be a steal, but he only scored three goals for the club – all in the League Cup. His downward spiral continued as he took his talents on a global tour to the likes of Ancona, Beira-Mar, Anorthosis Famagusta and Newcastle Jets.